Zürich, Switzerland's largest city, is well known as the country's economic and cultural center and one of Europe's main financial and industrial capitals. Its many attractions include dozens of museums, a well-preserved old town filled with medieval and Renaissance buildings, and enough art to keep art lovers happy for a week. Renting a car can be the best way to discover the city and the beautiful surroundings. Zurich, one of the most beautiful European cities, is considered as a favourite destination of tourists across the world. It is the largest city in Switzerland and is located at the north-western tip of Lake Zurich. It is also known as a major commercial centre and is home to one of the largest stock exchanges in the world. There is a lot to see in this gorgeous city. You will definitely enjoy visiting the historical monuments, museums, churches, nightclubs and other stunning places of Zurich. Car rental is the best way to get around here, particularly if you want to explore the surrounding areas too. There are plenty of hotels in the city which offer excellent hospitality and accommodation facilities to their guests. You can also enjoy different kind of delicious food in the restaurants. Furthermore, the public transport system of Zurich is excellent and all the places are well connected with each other. Major attractions of the city include Fraumünster, Kunsthaus Zürhic, the Swiss National Museum, Centre Le Corbusier, Lake Promenade, Zoological Garden, Botanical Garden, Grossmünster and many more. All of these places can be easily visited by the tourists through car hire solutions. There are many beautiful places in the Old Town. Many of the sights of Zurich are located on either side of Limmat River. The Grossmünster or Great Minster is among the most visited places of the marvellous city. The twin towers of this beautiful cathedral are quite attractive. The interiors are simply breathtaking and you can also see a glass window here, which is a great work of the legend, SigmarPolke. Furthermore, Fraumünster or Our Lady's Minster, built in the 9th century, is also a major attraction for the tourists. There are different beautiful things to see here but you must not miss stained-glass windows in the church choir by Marc Chagall, which was made in the year 1970. The Zurich Art Gallery or Kunsthaus Zürhic is a great art museum having a huge collection of works by Munch, Picasso, Braque, Giacometti and many other legends. You can also find a large library collection of photographs here. Moreover, the Swiss National Museum, the Centre Le Corbusier and Rietberg Museum are some other notable museums of the city. Zoological Garden of the city is home to some 260 species of different animals from all over the world. You can see Indian lions, snow leopards, pandas and many other beautiful creatures here. The Botanical Garden is also a worth visiting place where more than 15,000 species of plants and trees can be seen. See all this and more with value for money car rental services. As not all car rental companies are open 24 hours at Zurich, you will still be able to collect your car before or after opening hours. Click on the car rental company logo for the opening hours and check the detailed rental terms for the extra fee. At Zurich Airport are several ways to get to and from the airport. Check the corresponding time table for the departure times of the buses and trains. Another option is to go by taxi which will be more expensive but more direct. When traveling to Zurich we advise to carry some Swiss Franc CHF to avoid any unwanted surprises. At many airports there are Money Exchange offices in order to change your local currency. The local time code for Zurich is CEST. When traveling to Zurich make sure to check the local weather conditions in order to avoid any unpleasant surprises. 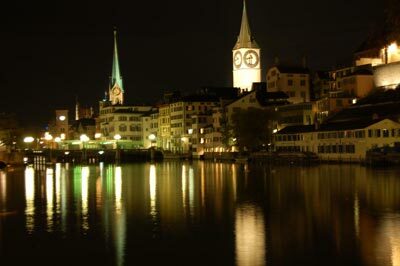 Zurich has approximately 396,027 inhabitants. Last month, the average car rental length in Zurich was 6 days. The average rental car length in Zurich is 4 days. The most booked rental car type currently in Zurich is ECONOMY cars. Last year, the most booked rental car type in Zurich were PREMIUM cars. How much does it cost to rent a car in Zurich? Last month, the average car rental price was 331 USD. Last year, how much did it cost to rent a car in Zurich? Last year, the average car rental price was 532 USD. What is the current average daily price to rent a in Zurich? Last month, the average rental price was 60 USD per day. How much did it cost to rent a car in Zurich over the past 12 months? Last Year, the average rental price was 121 USD per day. The car rental companies available in Zurich are: Alamo. See below last 5 customer reviews. Our customers rated Zurich Car Rental with an average of 0.00 based on 0 ratings.